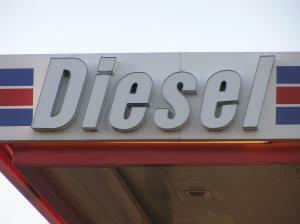 State oil firms have now decided to hike Diesel prices by Re 1 from midnight. The oil firms had kept themselves away from hiking price last month and hence a price increase of Re 1 together. earlier the companies had decided to hike prices of diesel by Re 0.50 per month. Oil firms had deferred their plan to raise diesel rates in April because the move could have offered another reason to the opposition to disrupt the crucial budget session of the Parliament, which was stormy due to alleged Coalgate and Railgate scams, government and industry officials said. The session, which ended earlier this week, could not do any business other than passing the Finance Bill. The fuel price was last revised on March 22 by about 50 paise. "Oil companies decided to defer its decision of raising diesel rates in April because in the same month it had reduced petrol rates by Rs 3 as international crude oil prices dropped substantially. It was incongruous that petrol price is going down and diesel prices are going up, simultaneously," an oil ministry official said.